The excitement continues to build. Recently the first of two baby showers were held. When your going through the stores that you are registering at its almost, OK well it is like, when you were creating your registry when you were getting married. Except that you have that third person to think about and that you hope that you are picking up things that he/she will like. The diaper cake is the norm of a baby shower. Now as a guy I don’t really understand why these are an almost necessity at baby showers but hey free diapers can’t complain. The great thing about the showers is that you are getting all of this stuff for free. 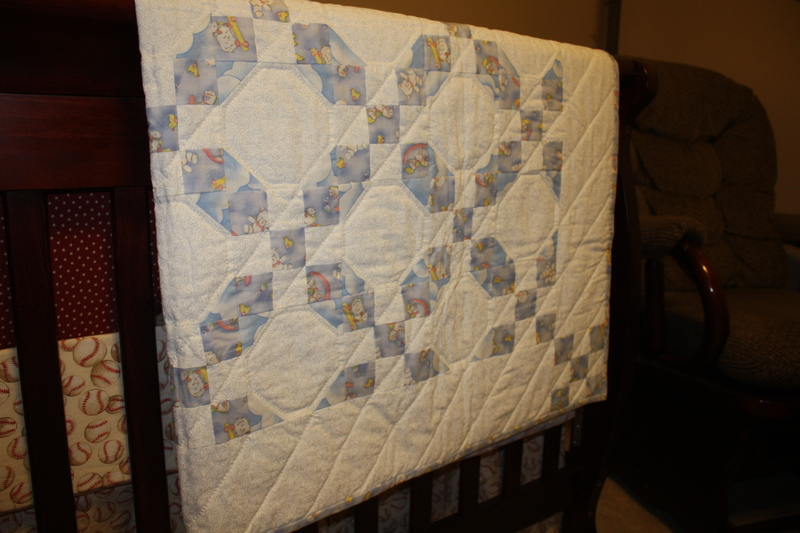 Clothes, diapers, burp rags, baby monitors, diaper bags, and in our case a very special quilt made by my grandmother. 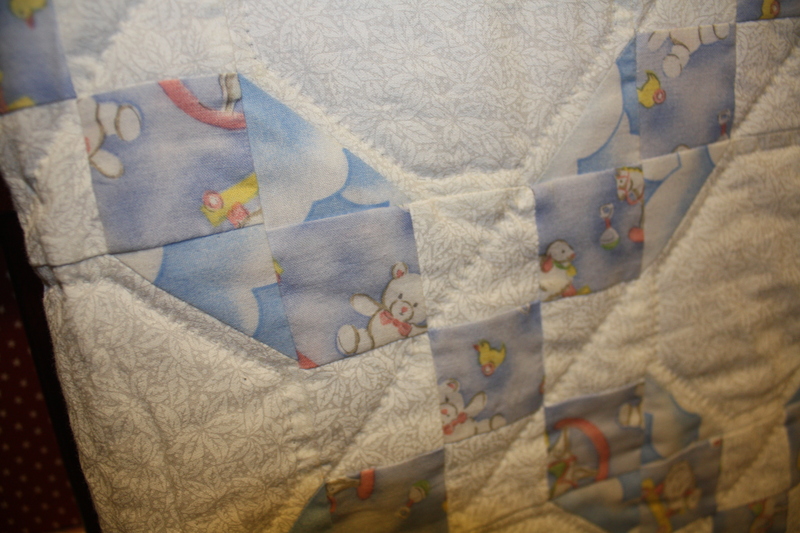 Now the story behind this handmade quilt I don’t remember at all. But my wife nearly cried when she heard it from my grandma. Apparently back in the day (which was a Wednesday by the way(there’s my Dane Cook reference for the day)), my father, grandma, and myself went to a fabric store. Now what the story I really want to know is why did my dad and me think it was a good idea to go to a fabric store in the first place. But my cousin was expecting and we all thought it was going to be a boy. So my grandma was looking for blue colored fabric to make the quilt with and so my dad and I were trying to help her find some fabric, again why we were doing this is the real story. As it turns out my cousin had a girl and so the blue fabric was a bust that she bought. But all these years she kept the blue fabric and as it turns out she used it to create the quilt that she created for our little boy. I have no recollection of this story but its always nice when you receive something that has meaning behind it and you can always tell your kid what it is and where it came from. The little ones nursery has more meaning behind it as will be discussed in a later post. Now being the nerdy father that I am, we couldn’t go without registering for something that was for me. Granted, I will be taking care of our little one a lot by myself so we really needed two diaper bags. I found a couple company’s that created diaper bags for dads. Now I am really not for the one-purpose bags. But like I said… when I saw this, I had to have it. 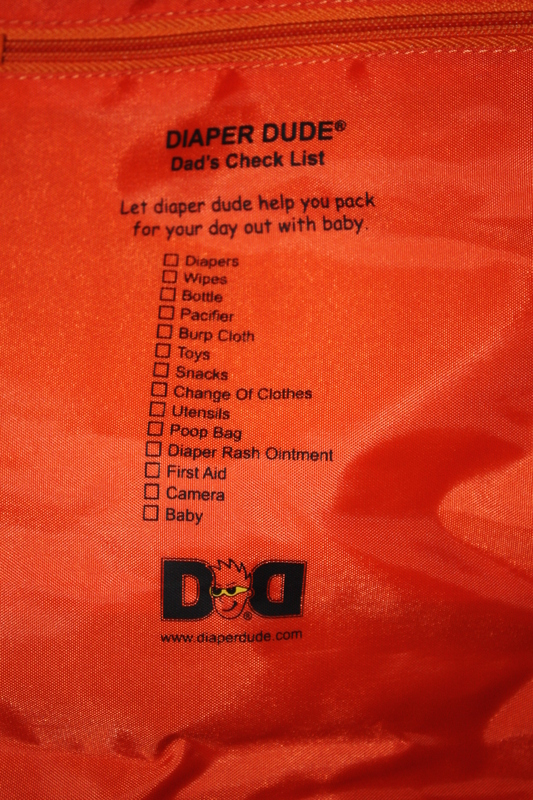 Diaperdude.com makes these bags that aren’t to girly or fru-fru so that you don’t lose your man-card. Now I have heard different stories about these types of bags if they are really necessary. Since all you really need is one and any man should be able to take the girly diaper bag with them anywhere. So we will see how much I like this bag. I am sure that there will be some sort of review coming as soon as we start using it. 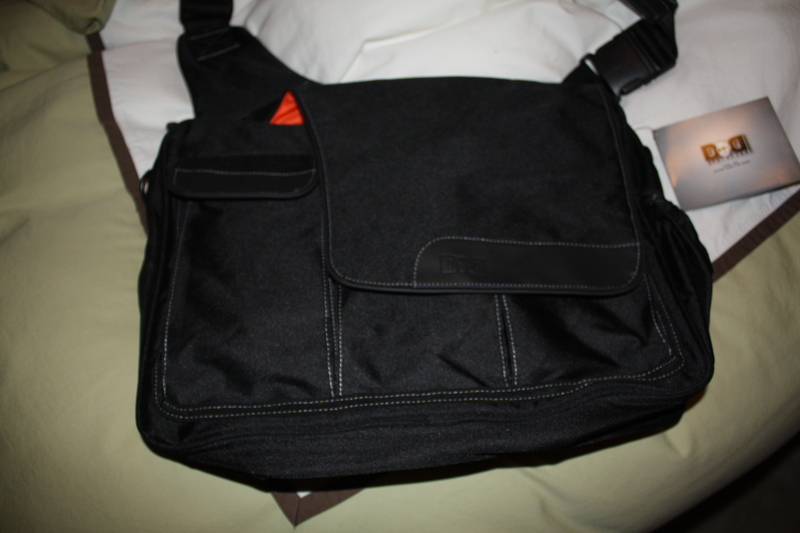 As a side note there is another company DadGear that also makes diaper bags for guys. Now we can only hope that some of the stuff that we didn’t get at this shower we get at the second one! Week 38 – Come on now!